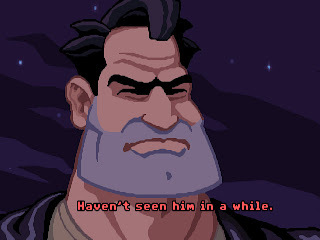 In light of a few of LucasArts great point and clicks being released on Steam I decided to boot up Full Throttle on SCUMMVM, since I still have my discs I feel no guilt or any need to wait for it's steam release. Man this game is amazing. The characters, the gameplay (hold down mouse for menu options...so good), the puzzles, the voice acting, the look and even the graphics hold up. It's hard to believe that this genre died, but thanks to telltale it is being resurrected. They need to look at the late generation of LucasArts games (like Grim Fandango and Full Throttle) for the proper way to control things. Also voice acting is KEY. 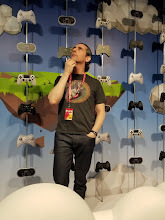 I know they are making technically smaller games, but if they continue with great acting and quality talent...maybe the resurgence will spread further.